The wreckages of three vessels dating back to the Roman era were discovered during excavations in the Mediterranean Sea carried out by an Egyptian mission in cooperation with the European Institute for Underwater Archaeology at the Eastern Port of Alexandria, Secretary General of the Supreme Council of Antiquities, Mostafa al-Waziry announced. Waziry added in a press statement Tuesday that the mission also discovered a royal head of crystal dating back to the Roman era, three gold coins from the era of Emperor Octavius Augustus in the Gulf of Abuquir in Alexandria, as well as a boat made of lead for the god Osiris in the sunken city of Heraklion city in the Gulf of Abuquir, Alexandria. 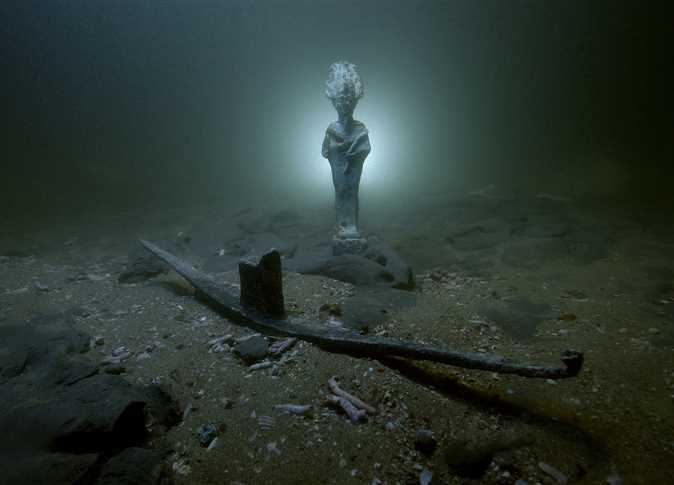 Ossama al-Nahas, head of the Central Department of Sunken Antiquities, said that the wreckage of the discovered vessels indicated that the water under Alexandria's eastern port may still be hiding many undiscovered treasures, especially since a ship was found in the same area in 1998 and was then believed to be the only ship on the site. Nahas pointed out that the excavations indicate that a fourth ship is likely to be found during the coming period. During this season, the mission uncovered large wooden planks, as well as pottery vessels that may have been part of the sunken ship's cargo. Ayman Ashmawy, head of the Egyptian Antiquities Sector, said that the archeological expedition began its work for this season in September.